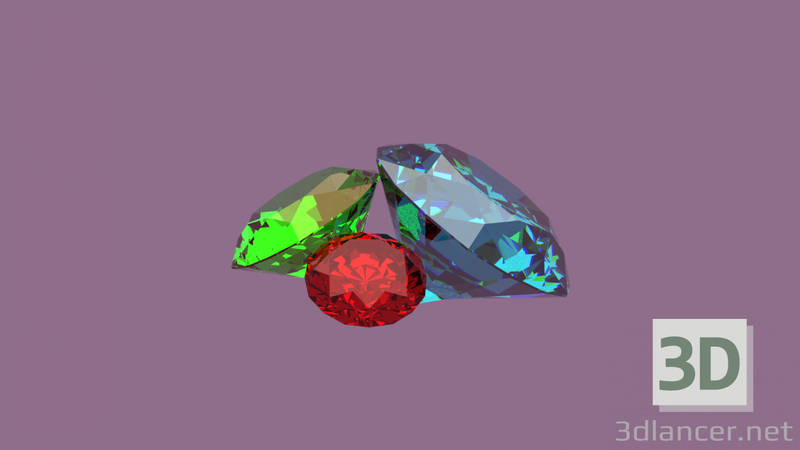 Three precious stones. Each is a different color and size. One symbolizes sapphire, the second ruby, the third emerald. The model is rather simple, but interesting !!! All colors are reflected in stones, like on real stones !!! Model without textures. Only materials are present !! !